When my friend Albion Gould asked if I wanted to be part of a Cricut Handmade Ornament Exchange, I said ABSOLUTELY! I love creating fun Christmas ornaments, and I LOVE getting fun mail! I designed this simple felt and foil holiday ornament that only uses two different materials to make, but still has plenty of color. It works great as an ornament, but would also be a lovely way to trim a Christmas gift. Check out all the other fun ornaments that were part of the exchange down at the bottom of this page! This post contains affiliate links. These links help support this site at no extra cost to you. Use the Cricut Holly Ornament Cut file that I created. All the images will be free if you have Cricut Access. You’ll need to open the file on a laptop or desktop computer. You can then save it to Design Space and open it on your mobile device if you like to cut from your mobile device. 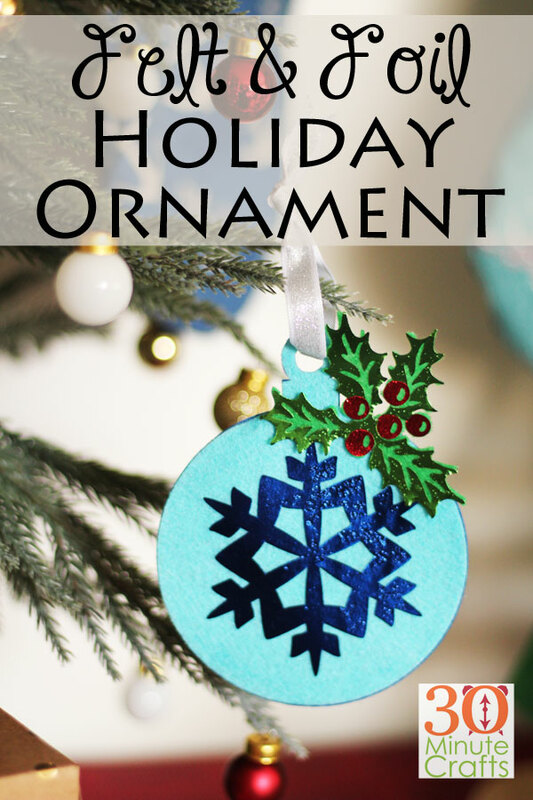 You’ll be cutting two of the ornament shape – one in light blue felt as the foreground, and one in dark blue felt as the background. Cut the holly out of green felt. From the foil, you’ll be cutting the red berries and the green leaves. 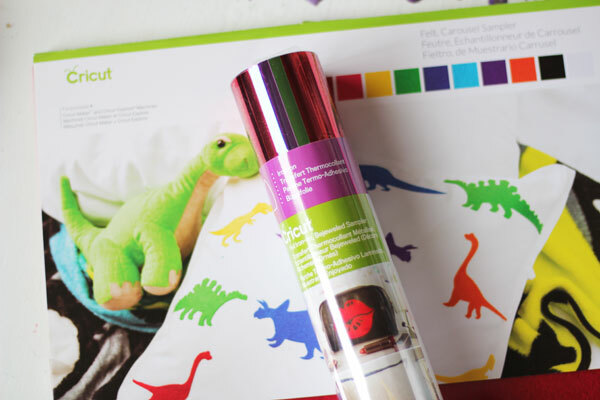 You can mirror the red and green foil. But if you forget, don’t worry. Just flip over the green felt and apply the foil to the back (which now becomes the front). 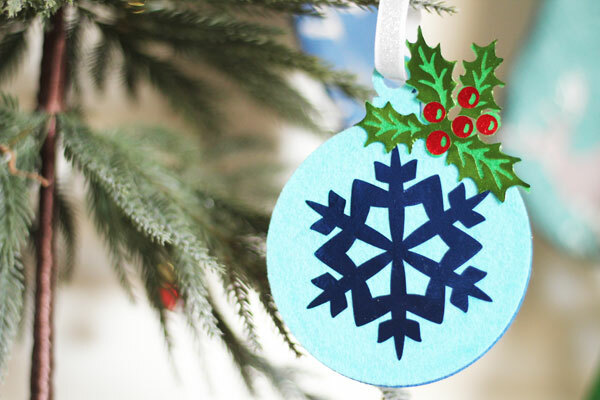 After cutting all the pieces, apply the blue foil snowflake to the light blue felt ornament with an iron or the Cricut Easy Press. Apply the red berries to the green leaves. It is important to do this FIRST. If you do the green leaves first, you won’t have a large enough piece of transfer tape to protect the leaves when you fuse the berries in place. So fuse the berries first. Then fuse the leaves. Glue the light blue ornament on top of the dark blue ornament. This gives the ornament enough thickness to hold up. Then glue the leaves on top. Add a ribbon to hang your ornament, and you’re done! I love the hint of sparkle! This is super pretty! I love the shiny foil paired with the felt!